Great game for a hott day! 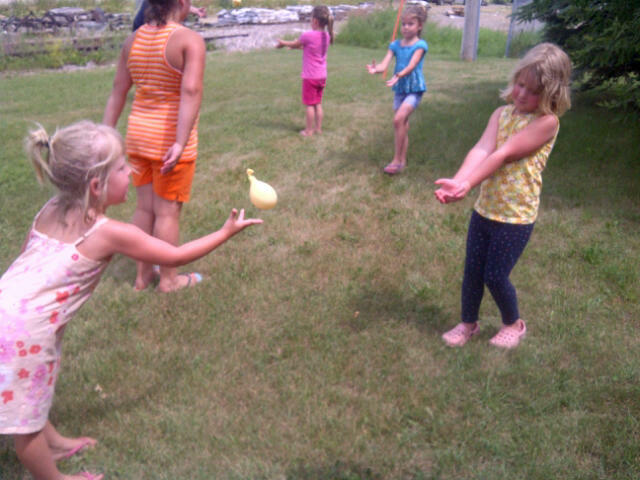 Fill a balloon with water and toss it back and forth getting farther and farther away without breaking it! The Rusty Relics Museum is a great place to drop in at on Wednesdays with the kids to come and do some fun activities. This week the kids attended a Dinosaur Day. They enjoyed making their very own dinosaurs, having a scavenger hunt, dinosaur egg toss (seen in posted photo) and other dinosaur theme based games. Summer Camp is a blast!